For as long as I can remember, music has been an important part of my life. My earliest memories of actually listening to music was sitting on one of my older brother’s laps, listening to metal on their 8 tracks, and later, cassette tapes. I was also more than once in charge of winding the tape back with a pencil. If you weren’t a kid growing up in the 80s and 90s, you probably don’t have the slightest clue what I’m talking about, but I know many of you are also nodding your heads and being nostalgic with me. I also remember when boomboxes became popular as some of the very first portable speakers. These things truly sounded terrible! Now, its 2013 and many companies still haven’t figured out how to make portable speakers sound better. Sure, they are compact, cute, and sometimes wireless, but at the end of the day, the sound quality typically just isn’t there. It wasn’t until recently that the Bluetooth technology for transporting sound packets actually improved, allowing some companies to create some amazing portable speaker sets to compete with some of the smaller professional sound systems in homes. After reading about this recently, I was curious if portable speakers actually had improved and if they were worth using on some of our portable devices. As I was doing my research, I was actually approached to review Altec Lansing’s new The Jacket Portable Speakers, which were suppose to be one of the best portable speaker sets on the market. Having heard so much about them, I couldn’t wait for them to arrive and start my review! 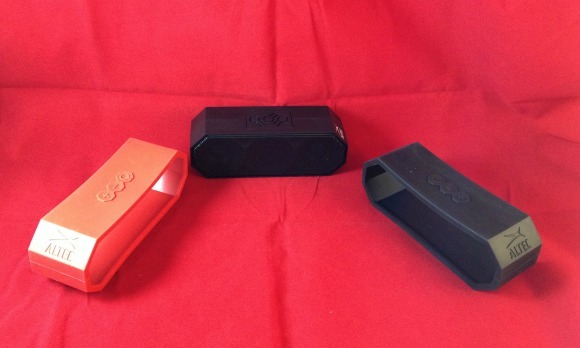 Looking for a portable speaker set that is not only compact but produces amazing sound? 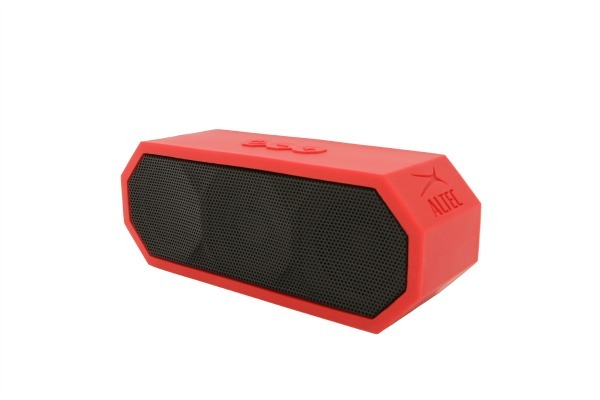 If so, we think you will love the Jacket Portable Speakers by Altec Lansing. This portable speaker set produces rich, high quality sound unlike any other portable speaker on the market allowing you to listen to amazing music just by pairing these speakers to any Bluetooth capable device. If you have a device that doesn’t support Bluetooth, don’t worry – you can use the built in aux jack to connect using your device’s headphone jack. With up to an eight hour battery and multiple jacket colors, you can have the perfect speaker for any occassion. This device connects wirelessly to Apple, Android, and Blackberry devices. Of course, the most important aspect of any speaker set is the actual sound quality. Up to now, when I thought portable speakers, I think of the crappy sounding speakers that have been around for over two decades. While they may be compact, you might as well be listening to music out of the small speakers on your device or headphones. Most of the wireless portable speakers on the market look pretty but produce very poor sound. 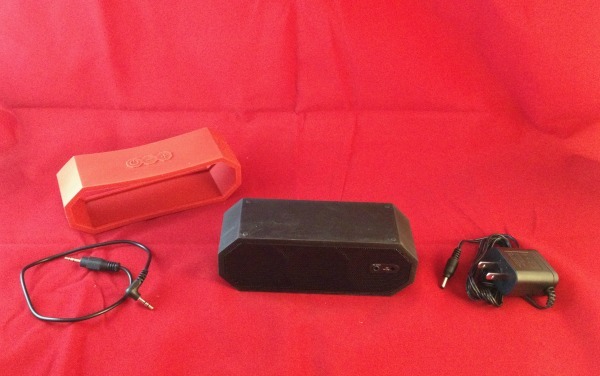 Part of what ruins the quality of sound with portable speakers is often Bluetooth itself. With how most data is transferred using this technology, packets are often lost, leading to white noise – the final note in poor sound quality. Altec Lansing has always been considered cutting edge in the sound department, making it not too surprising that their Bluetooth devices are some of the best on the market. While it won’t replace a large, high-end setup, the Jacket Portable Speakers are capable of producing sound similar to what you would find in most televisions or small home entertainment systems, allowing you to listen to crisp, clear audio. In other words, while you are going, your music still sounds as it should – amazing! When I think of portable speakers, my focus is mostly on sound. With the Jacket Portable Speakers, you get more than just high quality sound – you get a user friendly device that you can customize a bit to your own liking. Part of what makes the portable speakers unique are ‘the jackets’. These colored skins go over the speaker itself, allowing you to customize the speaker to your outfit, environment, favorite color, or just to your mood. What I thought was truly unique about the Jacket Portable Speakers are its simple Bluetooth pairing and vocal instructions. When you pair it to a Bluetooth device, it actually talks to you and lets you know when everything is set up properly. This actually surprised both my husband myself the first time we saw it, but I thought it was pretty spiffy! With up to 8 hours of battery life and its hands free smart phone capability, you can easily put this portable speaker set to use doing just about anything! To say the least, I was amazed with these speakers. I knew Altec Lansing made amazing products, but I didn’t expect these speakers to be THIS good. In all honesty, I have never seen a portable speaker that was capable of putting out amazing sound. With the high quality sound, simplicity, skins, and hands free capability, I think the Jacket Portable Speakers are worth every penny. Based on my own experience using these portable speakers with our devices, I am happy to give them an A+ rating! They really are the perfect gift for any music lover, or for anyone who is constantly listening to ebooks or movies on the go! 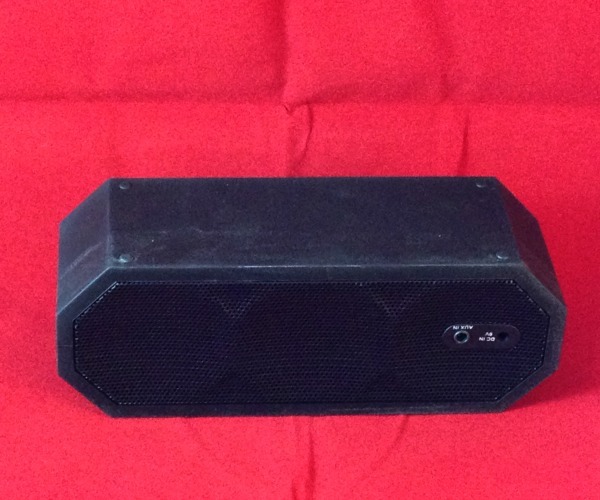 Want to purchase this awesome portable speakers set for yourself or someone in your family? Currently, the Altec Lansing The Jacket can be found in most well known retailers, as well as Amazon.com and Office Depot from anywhere from $150 – $200. Since they are in high demand, many retailers are already selling out so make to take this into account if you are planning on purchasing these speakers as a gift during the holiday season! 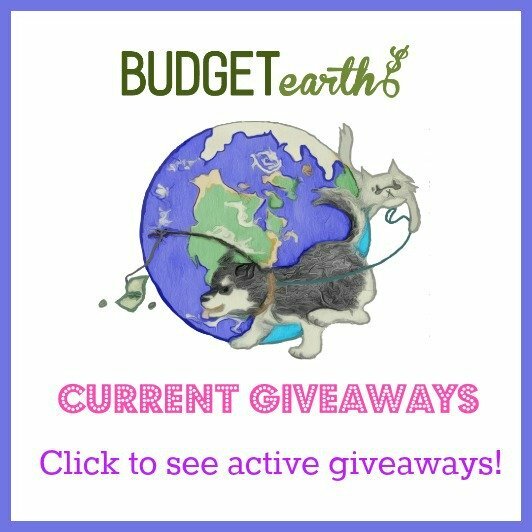 Disclosure: Budget Earth did not receive compensation for this review but did receive an Altec Lansinge – The Jacket portable speaker for review purposes. All opinions on this product are my own and may differ from our readers’ opinions. My husband is begging for a mini Bose for Christmas, but oh the price! This seems to be as good quality based on your review, and a better price. Thanks for the idea. It's amazing they can get quality out of such a small product. Back in the day we needed "boom boxes". I can see this being a hit for many gift givers this year. these would be great for break dancing with. I've been looking at different portable speakers. Thanks for the nice review, I've never heard of this brand, but will be looking into buying one of these. This is the kind of speaker I need for sleeping at hotels, to drown out noise. Thanks! Awsome! Speakers that can be color coded to an outfit! I would love to have these portable speakers! They seem like good quality speakers, Thank you for the review!